Safety is the foundational principle upon which the Triot was designed. 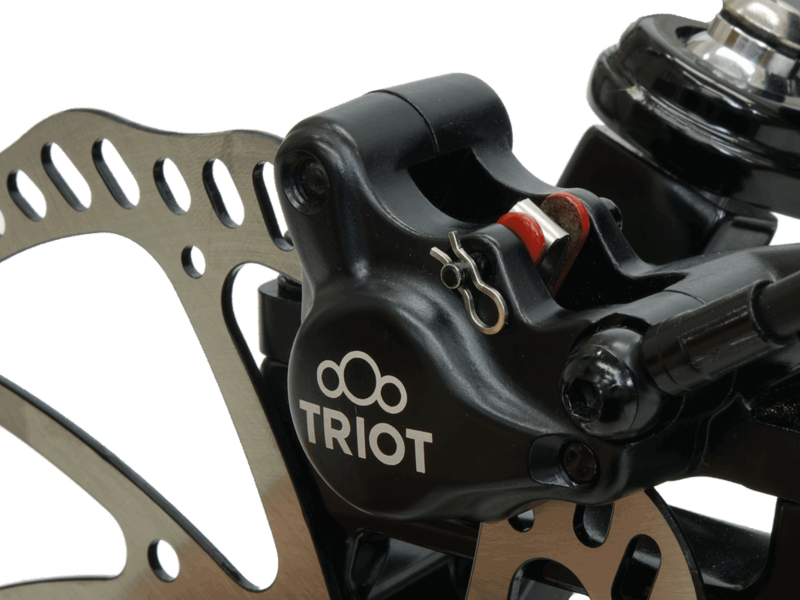 You can feel secure riding a Triot, knowing it will perform as you need it to, whether you are enjoying a casual cruise along the trail or instantly swerving to avoid a collision. Hydraulic disc brakes on all three wheels. Most recumbent trikes only have brakes on the front two wheels, each controlled independently, with no brakes on the rear wheel. Think about riding a typical bicycle with only front brakes or driving a car with only front brakes. Hydraulic braking on all wheels gives you the most control and safety when braking, especially in emergency situations. When turning a trike, or a car, the inside wheel needs to turn in a sharper circle than the outer wheel in order to maintain traction. 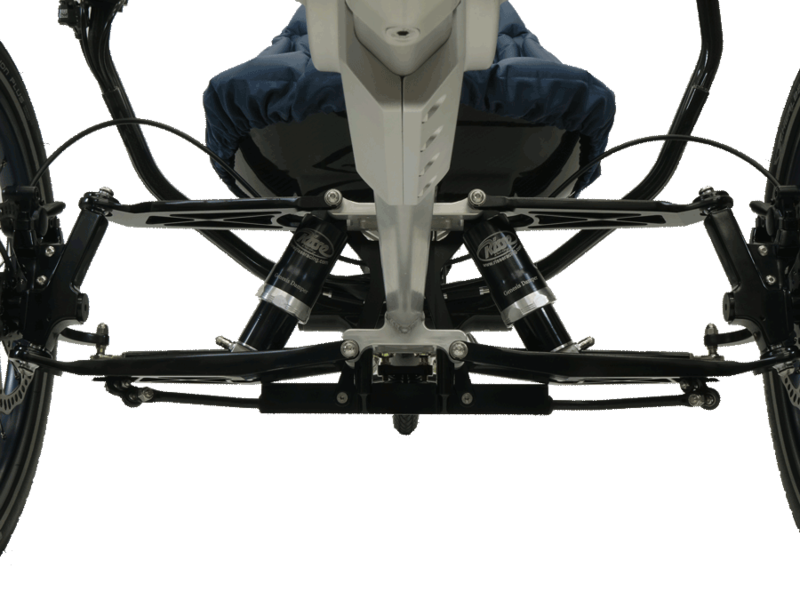 The technology used to make this happen is called Akermann Steering. 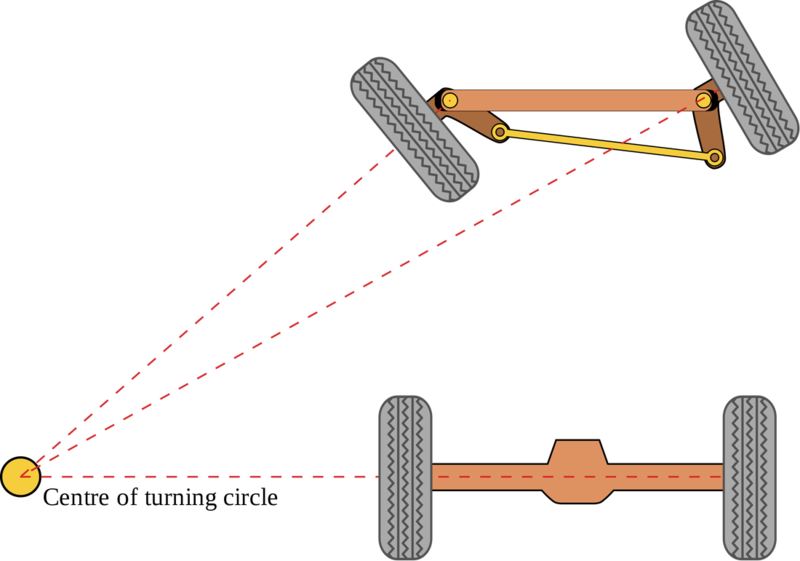 Triot uses akermann steering to maintain perfect control while turning; no wheels slipping or losing traction in the turn. As a rider you are able to maintain safe control of the trike, reduce cornering strain on the frame, and reduce wear on your tires. Well-designed suspension can be the difference between safe performance and disaster. Suspension adds to a comfortable ride but more importantly it keeps your wheels on the ground. Rarely do we ride on perfectly smooth bike paths or roads. It seems when riding we always find the bumps, rocks, roots, and other debris, all trying to disrupt our safe ride. The precisely designed suspension of each wheel on a Triot trike keeps each wheel safely in contact with the road.